Featured amenities include complimentary wired Internet access, express check-in, and express check-out. Planning an event in Buenos Aires? This hotel features 969 square feet (90 square meters) of event facilities. A roundtrip airport shuttle is provided for a surcharge (available 24 hours). Take advantage of recreation opportunities such as a fitness center, or other amenities including complimentary wireless Internet access and concierge services. This hotel also features wedding services and a fireplace in the lobby. Spending a day of fun is easy with the theme park shuttle (surcharge). 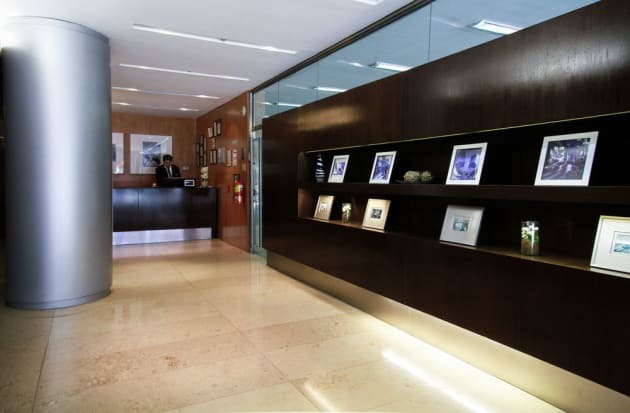 Located in the heart of the city and only 10 minutes from Aeroparque Jorge Newbery and the arrivals of ships. The hotel has 61 rooms, including apartments and superior rooms, which allow appropriate accommodations to meet the requirements of the tourist or businessman. Satisfy your appetite for lunch or dinner at the hotel's restaurant, Il Cavaliere, or stay in and take advantage of the 24-hour room service. Wrap up your day with a drink at the bar/lounge. A complimentary buffet breakfast is served daily from 6 AM to 10:30 AM. 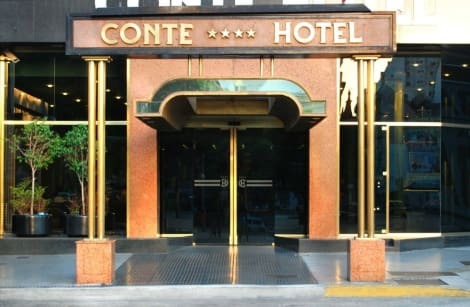 A few metres from the shopping and business area in the heart of Buenos Aires, this hotel is on one of the city's most important avenues. Public transportation links, as well as several points of interest are within the hotel vicinity. Services include coffee shops, bars and wireless Internet access, as well as room service, a laundry service and a medical service. Further facilities include a TV lounge, restaurant, conference room, breakfast room, wheelchair access and lifts.